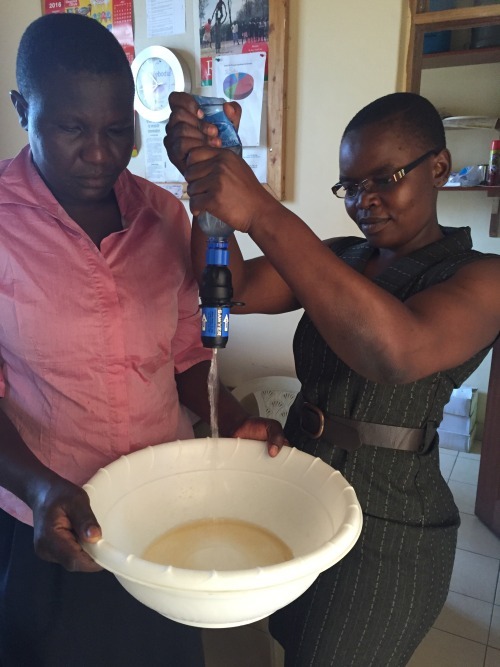 For One Another has partnered with Diakonia Compassionate Ministry (DCM) to distribute water filters in Western Kenya and Nairobi since 2013. It is estimated that 30 million Kenyans do not have access to clean and safe drinking water. 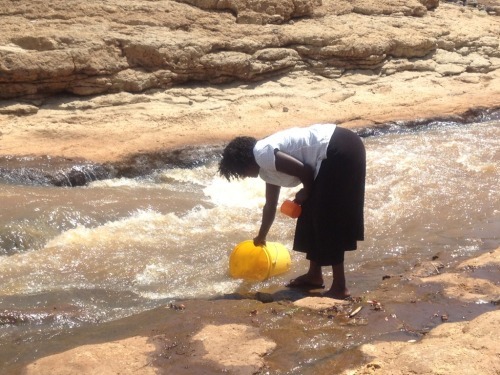 A deaconess in western Kenya collecting water from a nearby river. 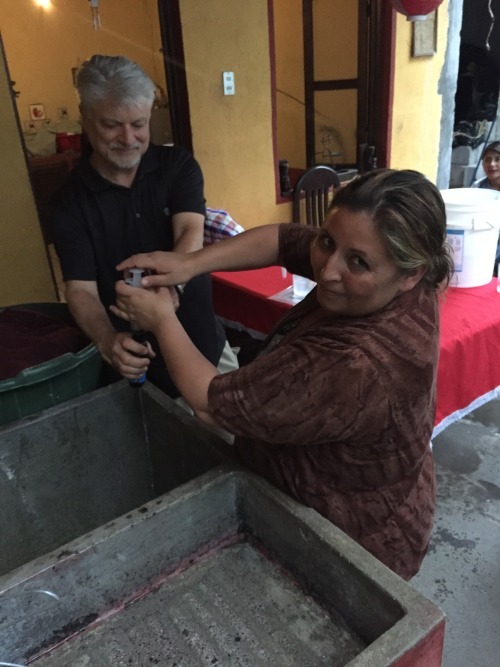 On our first trip in 2013, we were able to provide water filters to several families, an orphanage of 45 boys and a school serving 120 children, where 30 orphaned children stay full time. It was a beautiful time and a wonderful experience. 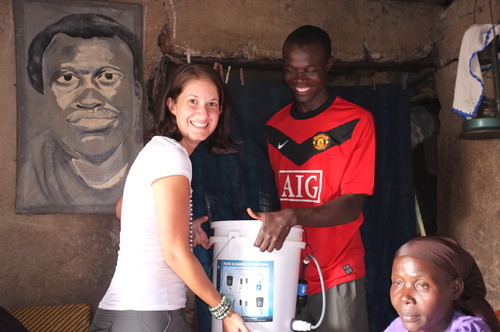 Carrie Beth and water filter recipients with a water filter. Recognizing that so many more families and children needed clean water, in 2014 we supported another round of water filter distribution in Nairobi and in communities outside of Kisumu, including thirty-five filters to a group of people living with HIV. HIV+ people, with their compromised immune systems, understand the risks of disease from drinking dirty water. Cholera, typhoid, giardia, and parasites will sicken even the strongest person. For HIV+ folks, such diseases can be deadly. 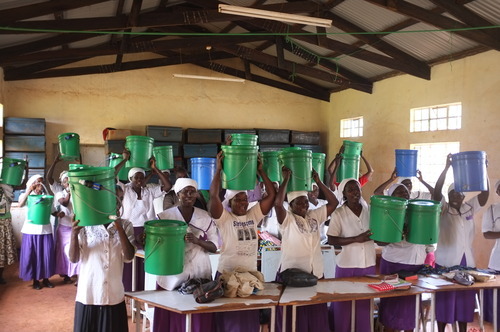 Starting in 2014, For One Another and DCM worked to track the effects that using water filters had on communities’ overall health and well-being, supporting local Kenyans who visited communities to educate and follow up with the households who received and were using water filters. In 2016, we brought our total number of filters distributed in Kenya to 300 – potentially serving nearly 3,000 people, since many of the filters support both a single household and their neighbors. You can read more about this trip here. 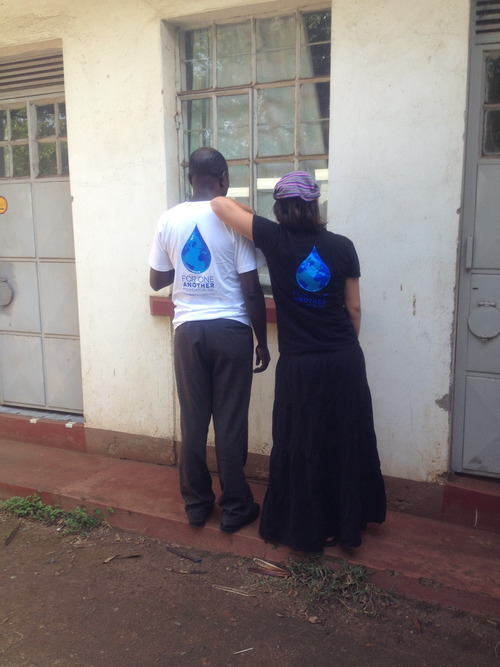 David ChuChu, the Executive Director of DCM and Carrie Beth with their FOA shirts! We will continue to provide support to clean water projects in Kenya in 2019! You can support our work by donating and following our updates at our blog!